Yes, that’s right. A simple recorded demo of your software will bring organic traffic to your website. Professionals are busy and it is tough for them to find 30 minutes to book a live demo. Therefore, what do you do? Offer it right on your website so that they can watch your live video 24/7 . 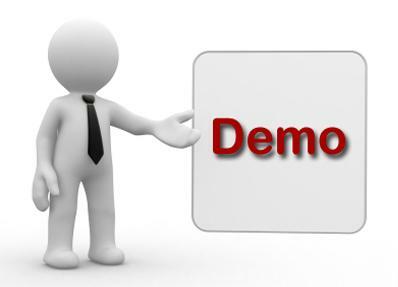 As a software product provider, whether you are looking to educate on your product, show progress and updates, or trying to get them to convert into a customer, YOU MUST HAVE A RECORDED DEMO OF YOUR SOFTWARE. Why are recorded demos so effective? It is a very inexpensive way to show the features of your product. As your software continues to have updates and revisions, it is very easy to adjust your recorded demos. Easy way to show the benefits of your software to your target market. Accelerate the user experience and the sales cycle to close your next prospect. Increase the product knowledge of your customer before you even have your introductory call. Therefore, rather than having to set-up a call and make time in your prospects schedule to see a demo, have it available at their fingertips. Reduce any confusion from the content on your website. Within 15 minutes they will understand exactly what your product does and how it helps them. Allow the ability for your video to be shared on different social media channels. If your prospect likes your software, they will have the ability to share with coworkers, LinkedIn, Twitter, YouTube etc. Want to create a recorded demo for your software? You can either get your recorded demo done professionally for a lot of money or do it by yourself. No one knows your product better than you do, so I would do it yourself and save the money. However, a good recorded demo can bring a lot of new prospects into your sales funnel. Click here to see where I placed my recorded demo for my software. Also, feel free to reach out to me directly for great software to create your next demo.